Have I mentioned before that I really like the Classic Pens LB5? At least once or twice? A month? For two years? Well, I do. I love the pen. But it’s very expensive, and most sane people aren’t comfortable spending LB5 money on a pen. But before the LB5, Classic Pens (now known as Lambrou Pens) created a very popular pen known as the LM1. I’ve had the LM1 in my personal collection for nearly two years now, so it’s popped up in several currently inked videos since then. But it has taken me until now to get around to actually reviewing it. I suspect I won’t shock anyone when I say that I really like this pen. 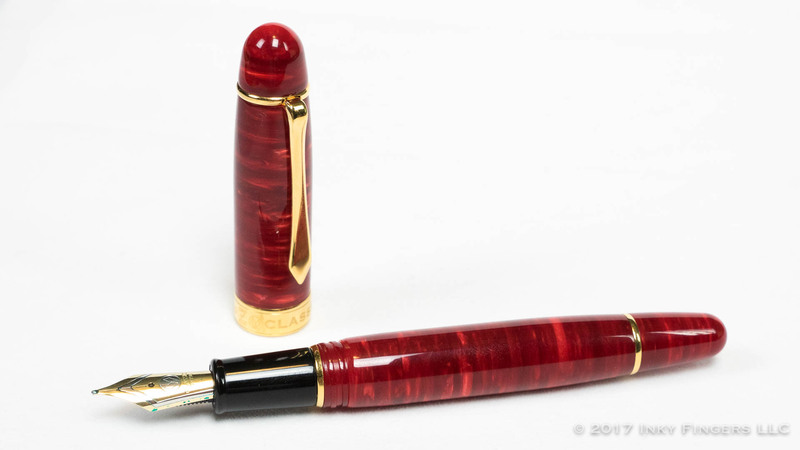 The Classic Pens LM1 comes in a red, faux snakeskin, clamshell box with a cream-colored interior. Along with the pen and converter, the pen comes with a signed limited edition card and a warranty card. 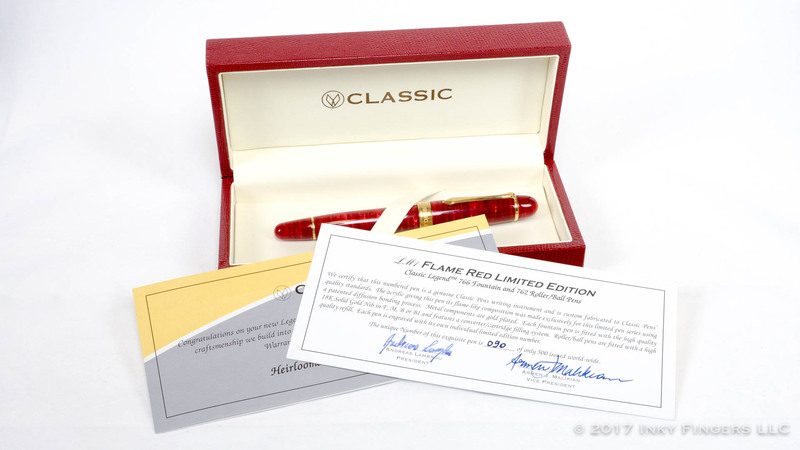 The LM1 is a relatively standard cigar-shaped pen made of the red flame diffusion-bonded acrylic that was made popular by Classic Pens. It’s quite a standard shape for a pen but superbly constructed, and from a really stunning material. 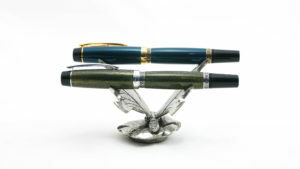 The pen was a limited edition of 500, which included a combination of 375 fountain pens and 125 roller ball/ballpoints. 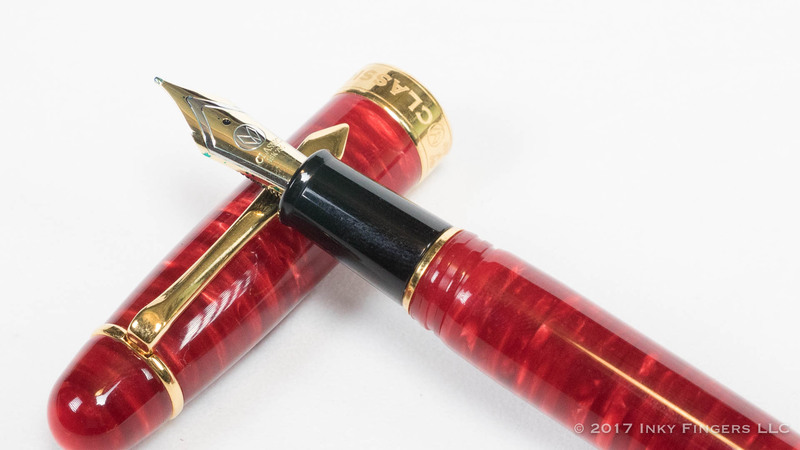 The pen’s design starts with a rounded finial at the top in the red flame acrylic, which holds on a gold-plated clip shaped very much like a man’s tie. The wide gold-plated cap band features the Classic Pens logo, the letters LM1, “Flame Red,” and the limited edition number. Past the cap, the traditional cigar-shaped profile continues until it meets another gold-plated washer and the blunt, rounded end of the final finial. 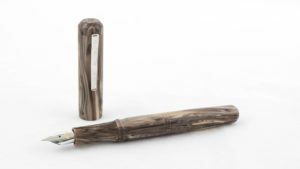 It is, as mentioned a few times above, a very standard shape for a pen, and nothing tremendously out of the ordinary. Normally, that would be a bit yawn-inducing for me, but it is made up for by the pen’s beautiful Red Flame acrylic. 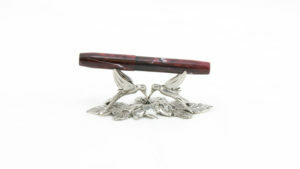 The acrylic is made exclusively for Classic Pens by a British manufacturer named Carville. Cast in individual 3mm sheets, the sheets are then bonded together, and the rods are cut against the grain to give a striated depth that is almost impossible to capture in photographs. 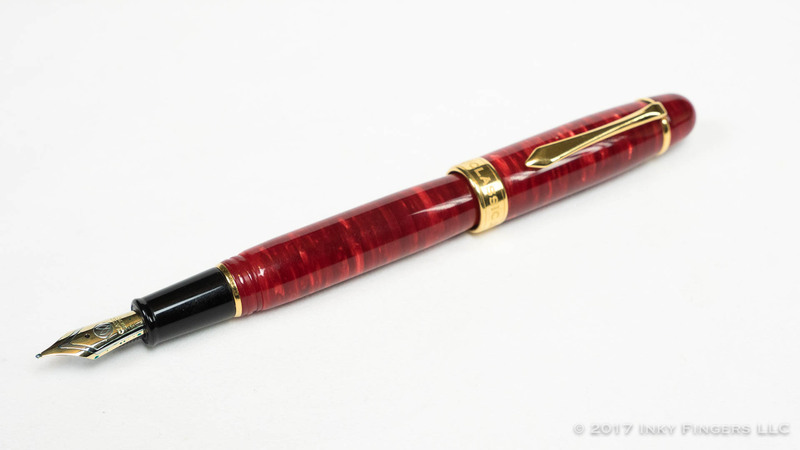 It’s a bright, rich red–eye-catching without being garish–and it absolutely makes the pen. The pen’s cap can be removed with one single turn on smooth, and relatively shallow, block threads. Under the cap, there is a black acrylic section which tapers slightly toward a clean-lined, bi-color, 18k gold, #6 Bock nib. The nib’s streamlined design is extremely attractive, and the nib is beautifully adjusted for a smooth, wet ink flow. Andy Lambrou, the company’s president, mentioned to me once that early tests with the nibs showed some minor ink starvation problems, but I have never seen even a hint of that in the last two years since I purchased the pen. The nib’s ink flow is generous, just like I like it. It’s a touch on the wide side for a medium nib point, but that is likely due to the wetter ink flow. The nib tip is very smooth, with only a minor whisper of friction with most papers. The pen is filled via a standard international cartridge and converter. The section’s tenon is metal, however, and the barrel may not be 100% sealed due to the washer at the end, so you will not want to try to eyedropper this pen. 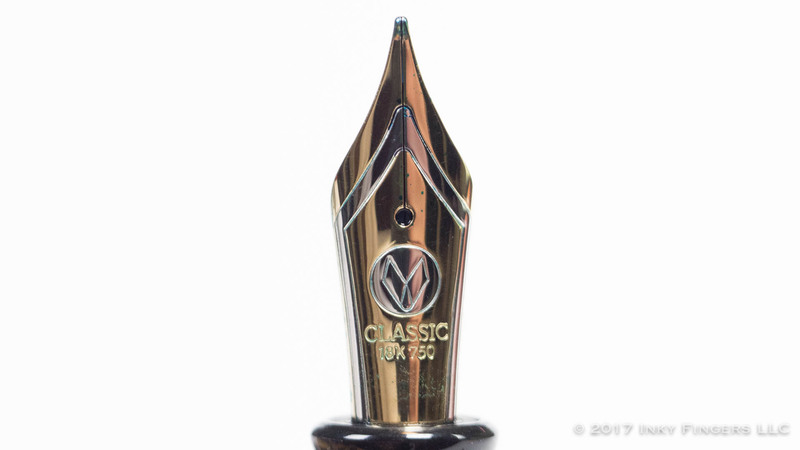 The Classic Pens LM1 originally sold for $575, which, in the pantheon of Classic Pens limited editions, is extremely affordable. As the limited edition was made in 2007, the pen is no longer in production. It can also be very difficult to track the pen down on the secondary market as they were extremely popular. The LM1 seems to be one of those few pens that have actually gone up in value over time, and I often seem them for sale in the $600-$700 range when I see them. Andy also explained to me at the San Francisco show in 2017 that there has been some confusion around the numbering system on these pens. While there were only 500 of these made (not including 00 artist proofs), customers who ordered a fountain pen/rollerball set were allowed to get matching limited edition numbers, which meant that not all numbers 1-500 were created. 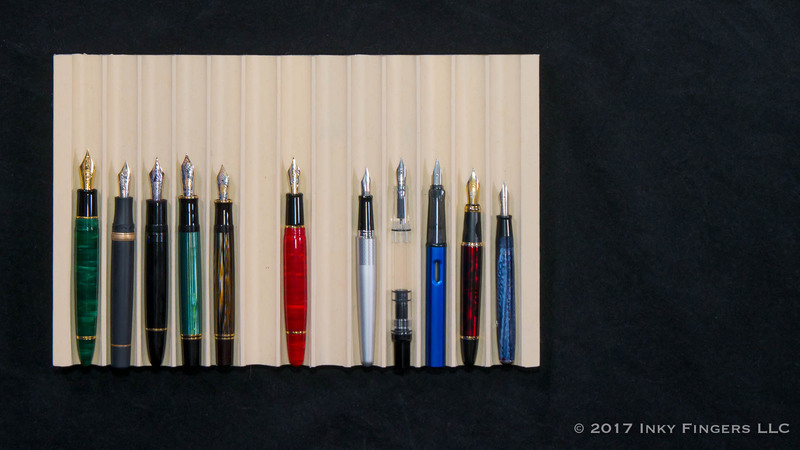 This, by itself, isn’t a problem, but it is possible to switch the roller balls to fountain pens or vice versa. That means that it is technically possible for there to be more than one fountain pen with the same limited edition number. (Andy told me that the company learned their lesson on that one, and they no longer do the matching numbers in that way.) It doesn’t bother me, personally, because I buy pens to use them. But if you’re a serious collector for whom limited edition numbering matters, you should be aware of that with the LM1 series. Obviously, this pen won’t be for everyone. 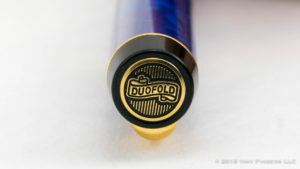 But if you love the diffusion-bonded acrylics that Classic Pens uses, but are looking for a more affordable entry point than an LB5 or LB6, this might be a good place to start.